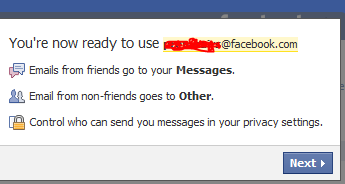 Today I’ve received an onsite baloon message from FACEBOOK which shows ” Upgrade your Message” and now I too have my own facebook email id. 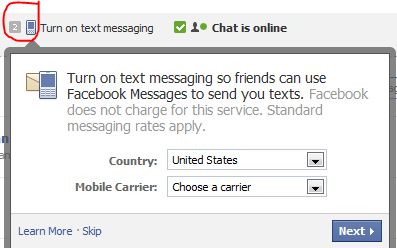 Above screen is for Text messaging from FB and it depends on the GSM carrier. You have the option to skip.